The show took place at the 19,000 capacity Colonial Life Arena. 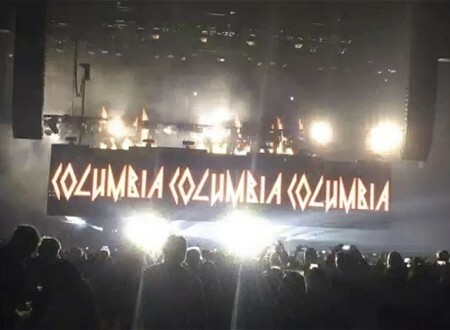 The band last played Columbia on 16th October 2015 on the World Tour 2015. The fifth show the band have played in this city. 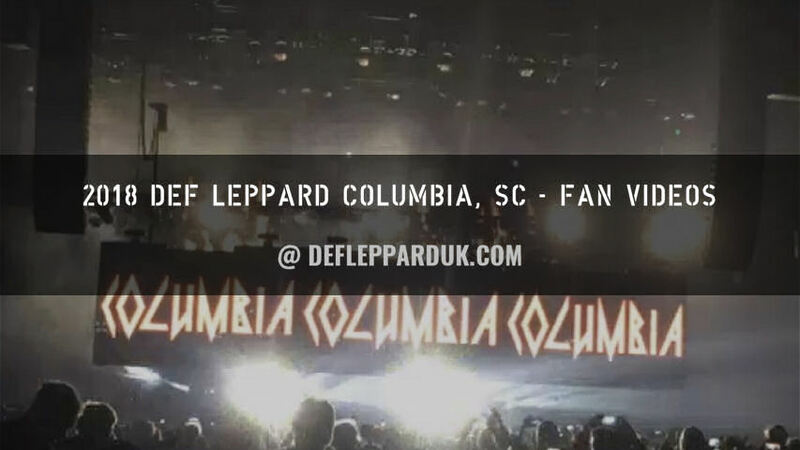 The first visit was in July 1983 during the Pyromania tour at the Carolina Coliseum within the University Of South Carolina. 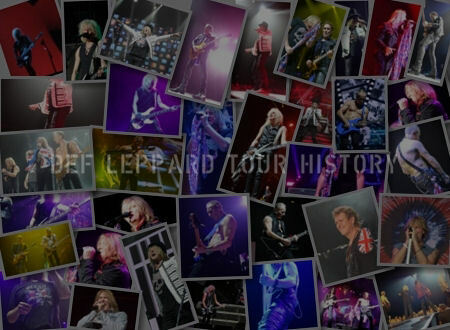 They would return to the same venue in January 1988 for an In The Round show on the Hysteria tour. It would take until November 2006 on the YEAH! tour for a return to the city with Journey and the first show at this venue then known as Colonial Center. The second visit to the arena then happened in 2015. 'When Love & Hate Collide' and 'Man Enough' were played for the first time in Columbia. "Thank you. Thank you very much. 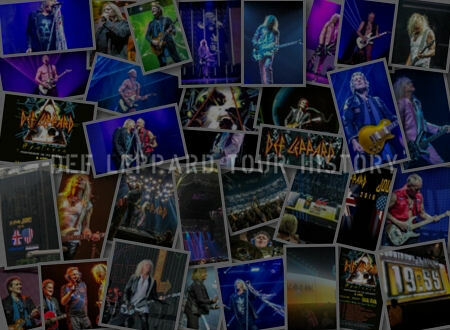 (after picking up fan sign) Look at this it says Def Leppard rocking the world for decades. You know how long it is since we first came here 38 years since we first set foot in this amazing country of yours. 38 count 'em. And as long as there's crowds like this out there we'll keep coming back over and over and over and over again. 'Cause we love this. It's all we ever wanted when we were kids. When we were over here looking this way as teenagers we were watching all these bands in our collective towns of Sheffield, London, Belfast. Before we even knew each other. We all had this in common. This thing, this gathering, this music. This amazing feeling that we get when you're there and we're here. This is what we wanted and it was kind of logical I suppose that eventually we would gravitate towards each other so we could do this. And come here and do this!. A celebration." "And about 12 years ago, which coincidentally is the last time that we toured with our very good friends Journey!. We recorded an album of songs that we grew up listening to. 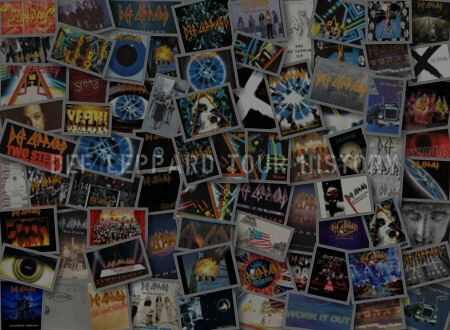 The album was called YEAH!. And there's one particular song on that album that I think we've played almost every night since we recorded it because it's in our DNA. It was written by an English guy called David Essex." "We'd love to play it for you right now. 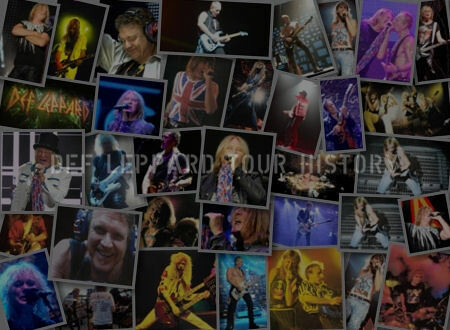 So how about a little bit of Columbia, South Carolina love for Mr. Rick Savage!." "Look at that. Oh yeah. Cheers everybody. OK let's do that again Kenji turn the lights down. Cell phones out come on. Let's light this place up. Oh you don't have to go quiet either. Please don't go quiet. Look at that. Oh yeah. That is a beautiful sight. Thank you so much. Amazing. Thank you. And it's all gone quiet again. You've been making so much f**king noise all night why stop now?. Can you make a bit more?. Can you make a bit more?. For the boy at the back here. Stand up Rick Allen!. As always...as always, he will introduce this one for ya." "Columbia, South Carolina!. Thanks for coming. Thanks for having us. Thanks for being here. We'll see you next time. Goodnight!." "Unbelievable thank you so much. Been a real pleasure thank you. Until next time. And there will be a next time!. Do us a big favour yeah. Don't forget us and we won't forget you. Goodnight." The next show takes place on 17th August in Sunrise, FL. Played for the first time in Columbia.